Click on any photo to see it enlarged. It will appear as part of a slide show of all photos on this page. The image size can be changed by clicking on the plus and minus buttons. In the upper-left corner of a slide show click on either of the small-blue triangles to see another album (sets of photos). For lots of photos and no text go directly to March, April, May, June, October, November, Appomattox, Manassas, Antietam, and Cedar Creek. Wanted to tell you to stay safe in the wake of Sandy. Batten down the hatches and don't let Gerry persuade you to go out for a walk in the eye of the storm. I know landfall is not supposed to happen for a few hours yet but here they're describing the scenes as "apocalyptic". From where I'm sitting it sounds really scary. I was surprised that you sounded so relaxed about it all. I'll be going to bed soon and I'm wondering what I'll be hearing and seeing in the morning. Well I hope you survived The Flood - so bibilical isn't it? No time to build an ark I suppose....not necessary I hope. Before the storm we planned for the worst. As we depend on electric cooking and thought -- unlikely -- the power could go out we cooked enough chicken and rice for five days. And in case the supermarket was closed for a long period, Gerry at the last minute went there to stock on essentials: another four bags of Halloween candy to add to the four bags we already had. Jan incomprehensibly wondered why. Fortunately for our waist lines and Halloween Trick-Or-Treaters all eight bags are still unopened. Most probably the main reason we survived is because we are not very vulnerable, except to power outages. We're pretty well situated up on the 13th floor and on top of a hill, so no danger of flooding, which is one of the major problems facing all the coastal areas and even parts of the DC area close to the Potomac. Our in-building neighbors assured us that our building almost never loses power, unlike the building next door and the complex of buildings across the street, because our power lines are buried. The only other real danger was from flying objects and so we brought every last piece of anything from our balcony indoors. The flat still looks like a cross between a second-hand shop and a florist! As we went to bed Monday night, when the worst winds were predicted, we had our fingers crossed that we would wake up with windows and power supply intact! All safe. We hardly experienced the storm, only getting a light drizzle all day and some gusty winds at times. We never lost power but apparently did lose our Comcast cable for about 10 hours overnight. After midnight Monday (when the storm hit land) we could not watch cable TV and early Tuesday morning could not access Internet. It wasn't so other places. On the TV news there were so many familiar flooded and damaged places, e.g. : Ocean City, MD (we spent a month there in Feb-March), Asbury Park, NJ (10 miles from our old home in Middletown), Coney Island, NY (where evacuation was ordered and a great uncle of Gerry's lives), and a flooded Battery park, NYC (last visited in January), etc. Nostalgia in a negative sort of way. Metro DC planned well and was spared. The most impressive thing about this whole affair is how much stuff has been closed down. 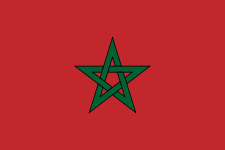 There is no metro service, no bus service, no schools or government offices are operating. However, our local supermarket was open this morning and they didn't seem to think they would close at all. From the Washington Post we understand that New York is a similar story. The current Sandy superstorm has almost made everyone forget the storm that really did hurt DC, the Derecho storm, of June 30. That one came almost without warning. We looked out our window, completely unaware of what was about to happen. We saw dark clouds in the southwest. Twenty minutes later our balcony was be lashed by heavy rain. It was raining horizontally; not from up to down but from left to right! We hurriedly cleared our balcony of whatever could blow away; that was primarily plants, which were on tables and the bigger ones which had previously toppled over. By the time the storm, which started near Chicago, had passed nearly three million people were out of power. In our local area northern Virginia 750,000 people suffered nearly a week without power. We, lucky we, living in our protected shelter, hardly noticed it. Do we look a bit younger in the top-of-the-page photo than we did the last time you saw us? 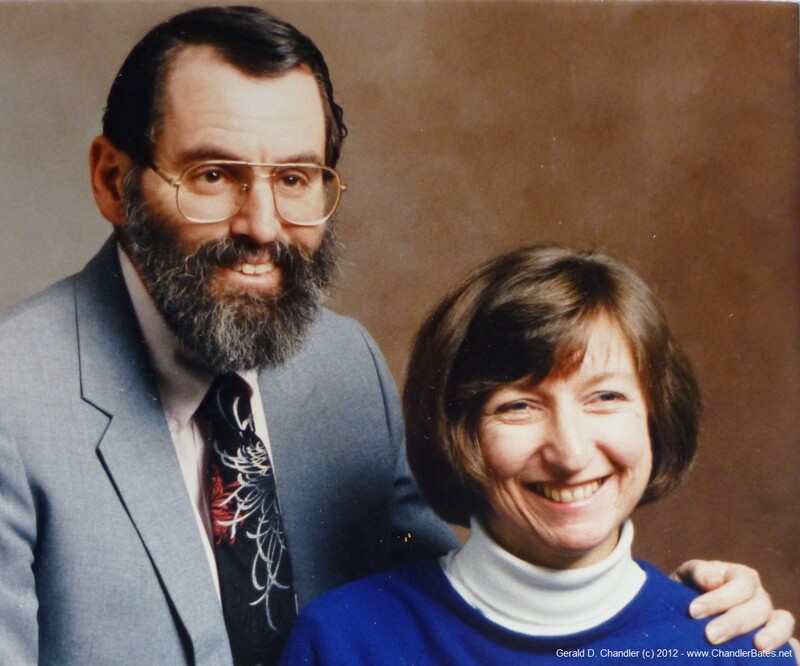 Just a few days ago we found this photo among some old photos of us and family. Among them were our nieces and nephews as wee tykes. 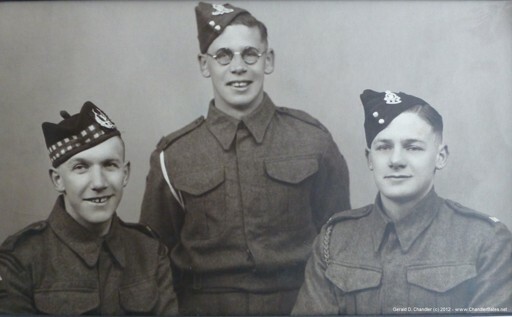 Even older was one of Jan's father, Robert (28), with his two brothers, John (23) and George (19), in 1939 in WWII uniforms. When we posted them on Facebook one of the reactions we got was along the lines “Unpacking? Does that mean you are settling in?” Well we've felt settled in a long time, even if we haven't unpacked everything yet. We've been in our apartment since March 15, or 6.5 months. Click on the month for a mish-mash of photos for March, April, May, and June, We're enchanted with our choice: still, after months living here, we look at our place and look at the sunset from our balcony and look at each other and smile: what a good choice we made. The photos came from one of the six plastic storage trunks that we've so far retrieved from our New Jersey storage locker. In 1999, as we prepared to go off on our travels we stored about 40 such trunks. (We don't know exactly how many.) At that point in time we thought we would travel one or at most two years. If we'd known then we'd be gone 13 years, we now tell ourselves, we'd have junked much more stuff. But what? It makes us think of a recent Blondie and Dagwood comic: Blondie thanks Dagwood for emptying the attic; now that it is done would he work on the garage? Dagwood says he can't; the garage is where he put the things he took from the attic. So far we have made two trips to the locker and retrieved about ¼ to 1/3 of what is there. Our apartment is now graced with more than half a dozen rugs. We have quite a bit of art collected here and there in our travels. Our wardrobe already hardly fits into our closets (and we hardly fit into the wardrobe). Of what we have reclaimed a small amount should and has gone directly to the tip. Some things are obvious keepers. The things that fall into neither category are a cause of constant discussion (throw it – no, keep it, – no throw it, etc. ad nauseam). Gerry's point of view is predictable: keep everything while we still have enough closet space. Jan's is why waste time putting into the closet just to take it out and throw it away in two or three weeks? Since May (see “Hospitality” below) we let further efforts slide but hope before the end of the year to go back and get at least half of what is still there. We are most concerned now to get our photo collection (slides and negatives from the pre-digital age) and our fine china and tableware. We know that we have shelves and shelves of books. But what else will we find? There are certainly surprises ahead. Among the items we have “uncovered” are many old 1.44 mb floppy disks. When we stored them it wasn't at all in our heads that some years later what had been standard equipment, a floppy drive, would no longer be sold with PCs. So while we had carefully inventoried everything that we stored we could not find out what it was for lack of a reader. Which British king, according to Shakespeare said “A floppy reader, a floppy reader, my kingdom for a floppy reader”? Who ever he was, he would not have lost his kingdom as long as he had Amazon online. We went there and now (for a very small bit of lucre) have a floppy reader. If there weren't storms and meals to cook and so much TV to watch we might have already used it. Over the summer we had the enjoyable chance to provide hospitality to some friends and relatives. As it turned out, we had overnight guests the last week of June, and of July, and of August. In June we had our nephew's wife, Donna, in town from San Diego for a national education conference. Then in July friends from New Jersey come for a bat mitzvah of their friends' granddaughter. (Note: we're all too old to be celebrating such events for children.) And in August and September we had two visits from Jan's brother and his wife, Dave and Jhap: first they stayed with us, then went on to visit her brother in Atlanta, and then came back for a few more days stay. Obviously we took our guests around DC and the area, visiting the most famous, e.g., the Capitol and the White House (sadly, only the outside) as well as a great variety of churches, museums, and battlefields. 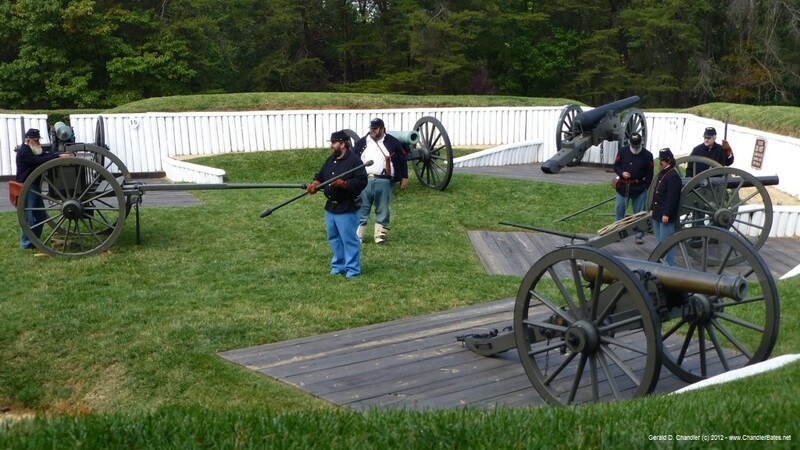 The sad history of the American Civil War has endowed the DC area with many of that war's battlefields. During the American Civil War (1861-1865) winter fighting was difficult and rarely occurred. Thus battles took place in the summer and consequently battle anniversaries of the greatest battles are mostly in the hotter months. Shortly after we took up residence in Alexandria we went to visit friends in Centenary, Virginia; finding ourselves relatively close to Appomattox Court House (which is a village rather than just a building) where General Robert E. Lee surrendered to General Ulysses S. Grant in April, 1865, we went farther south and made our second visit there. (We think our first was in 2001.) It was a beautiful day and we enjoyed several hours walking about and listening to a character in period costume interpreting events. 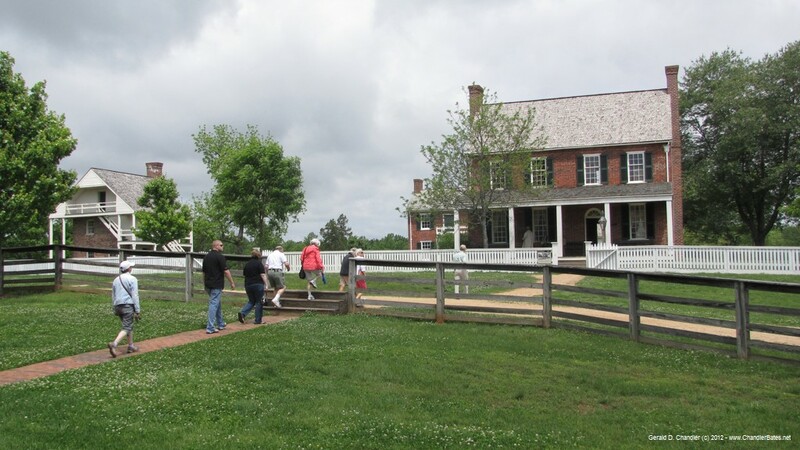 Before Dave and Jhap arrived we had driven past the Manassas battlefield but not visited. With them we finally did, on a very, very hot day again celebrating an anniversary, July 21, 1861. We enjoyed the display of cannon fire and the walk in the grassy fields. Two months later we were off for the day to Antietam battlefield (fought September 17, 1862) where we had a very full day of walking the fields. We'd also been there once before but can't figure out for sure when! 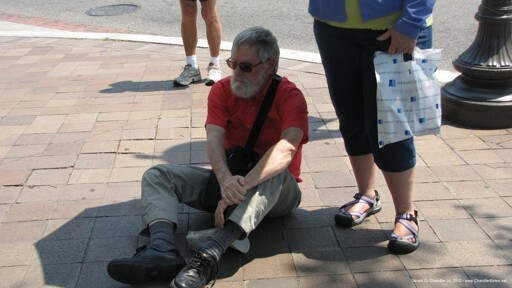 But Gerry is sure that that day his leg was amputated: he served as a volunteer while a re-enactor surgeon explained how amputation was often necessary to prevent gangrene and death. The most colorful and extensive visit was still a month later, to visit several battle sites around Cedar Creek (fought October 19, 1864). At least a thousand, perhaps 3-4000 people were there in costume. We've already posted numerous photos to our Facebook page and now add them to our own Cedar Creek web site. Virginia is in the south. That means its government fought on the side of the Confederate States of American (CSA); in fact the CSA capitol was at Richmond , the capitol of Virginia. It is probably less than 20 years since the South started to get over the fact that it lost the Civil War. There has been (among whites) a great admiration of things Confederate and a propensity for naming things after Confederate generals. The most common, and certainly most widely known is General Robert E.Lee. But what about Beauregard and Van Dorn? These are the names of two major highways near us. There were also leading CSA generals by these names. Were our local boulevards named for them? Time will tell. 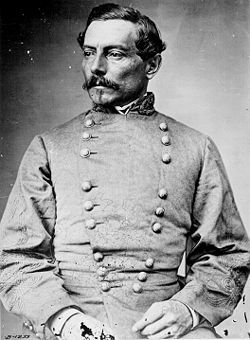 Here's what we know about Beauregard: His full name was P. G. T. Beauregard; he won the first battle of Manassas and lost the Battle of Shiloh to Grant. 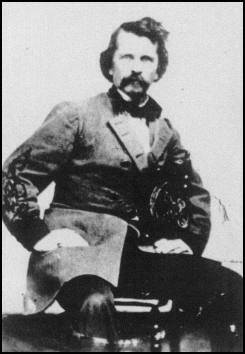 Earl Van Dorn also fought at Corinth. From the earliest days of the war northern Virginia was invaded and held by the Union: Among other things it was vital for northern spirit to hold Washington. So a series of forts was established to ring the city. Almost all traces of all of them are gone today. 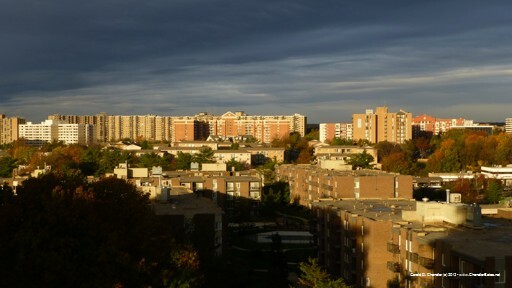 One remnant in the district is Ft Totten, after which a Metro Station is named. The best preserved of all local forts is Fort Ward , which is just over two miles from our home. When we moved here we hadn't heard of it; that is mostly because even if the best, there is very little preserved there and there was never a great battle. But there were cannon emplacements that defended two roads from the west as they led into Alexandria. 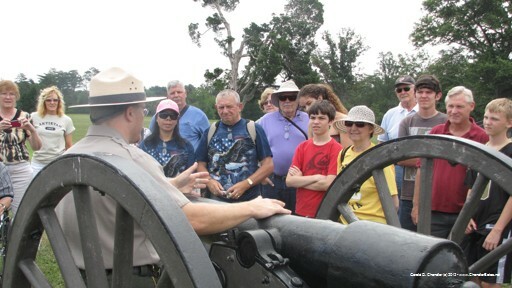 Each year, as would be expected, there is a live cannon demonstration on the site of what once were the civil war cannons. We made it one morning recently for a few more booms and smoke. Since moving in we have been mostly home-bodys. 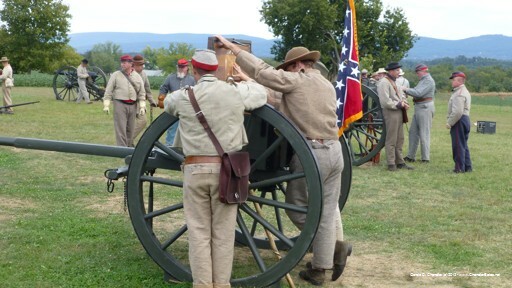 We've already mentioned an overnighter to see friends in Centenary and visit Appomattox and another to Winchester to see the fall colors and the Cedar Creek re-enactment. But our longest trip away was for a week to see the first week of the US Tennis Open. That was the last week of August. We stayed with our friend Ann, always a terrific hostess and every day went off to Flushing Meadows and a very crowded day of Tennis. Exhausting in some ways, but it was great to see all of the known tennis greats and get a 3D impression of those who will one day be the greats. On the way back to Alexandria we retrieved more stuff from our Forked River locker. And once home we spent many hours of the next week watching the matches on TV. The final was gut wrenching, as we wanted Murray to win. After winning the first two sets he lost the third and fourth and we were very sure at times he'd go on to lose the fifth. We had a nice day in Annapolis, which is the capitol of Maryland. We passed through and spent an hour there on our way to NYC and the US Open. It whetted our appetite and so we rented a car to go back. We spent the first part of our day visiting the campus of St John's College (http://www.sjca.edu/ ) where we had some pretty interesting discussions with several undergraduates. Most of their studies are based on reading “Great Books” and the like. Then we went on and spent almost all of the rest of the day at the US Naval Academy. There were plenty of memorable sights; one among them was a new undergraduate (a plebe) polishing a brass icon on the ground. He had bet that the Navy football team would beat visiting Pennsylvania; it wasn't to be so and the polishing job was his losing bet. We have a new profession that earns us more than enough money for beer. That's because we never drink beer, so the $100 we get for each day's work goes a long way. We talking about serving as Election Officer and Assistant Chief Election officer. We volunteered to do some of the work involved in running an election. Just about every other participant is an old fogey like us, or more commonly an older fogey. We are reminded of our Middletown days when a good friend, already retired, would greet us when we – then working-stiffs – went to vote. 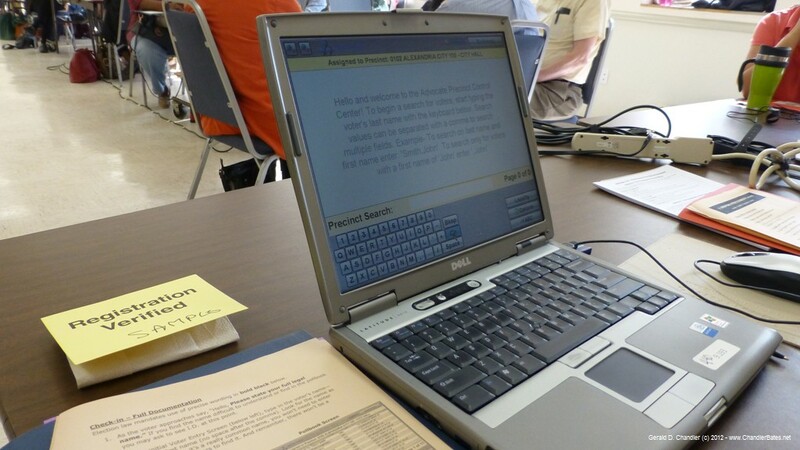 Elections in Alexandria are conducted with a combination of paper and electronic scanning: voters mark a letter-sized ballot (this year double sided here in Alexandria) and then it is put into a machine to be scanned and automatically counted. We, the Election Officers, have to make sure the process runs correctly, which means legally and peacefully, and for that we each went for three hours of training. Because Jan got promoted to Assistant Chief (with a 25% raise to $125) we went for separate training. But we heard the same jokes: 1) Those who only vote every four years in presidential elections are “cicada voters”. 2) Example of what can go wrong: A voter was told to mark his ballot with a ball-point pen. 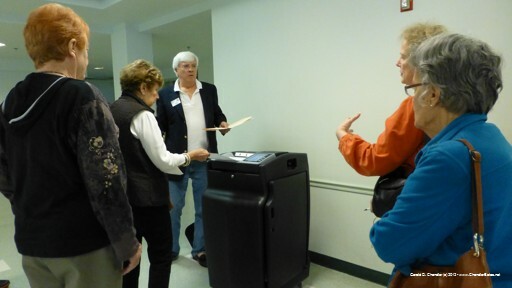 The scanner-counter rejected his ballot as unmarked. 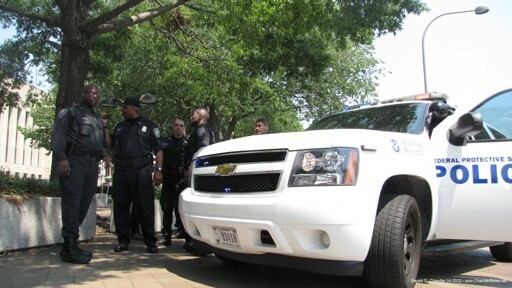 He assured the officer that he'd marked it, he thought, with invisible ink, to insure secrecy. The officer explained that the voter should push the button on the end of the pen to make sure that a visible mark was placed on the ballot. Because we'll be busy about 14-16 hours on election day we have already voted. It should be no surprise that we've gone for the Romney-Ryan ticket. Up until the first presidential debate we were depressed (and Democrats very happy) that it seemed that Romney was on his way to defeat. The night of the debate the world was turned upside down. We and most Republican's had new hope and Democrats were possessed of fear. Now all of the polls say that the race is neck-and-neck. If we weren't Election Officers we would be watching the returns on TV from 8pm. Now it is likely that by the time we get home the Ohio race will be called and the winner be known. We're calm. After all, we lived through Hurricane Sandy. 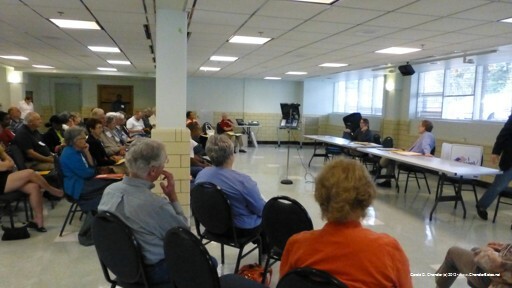 Nearly every week we go into central DC for some policy forum and often we go in on two days; even three. Because it takes us about an hour each way we try to do several things on each trip. Sometimes it is a policy forum and a visit to a museum; sometimes it is two or even three policy forums. On one such trip a while ago we started by going to a Medicare Advantage forum sponsored by Medstar. From October 15 to December 7 American Medicare recipients have “open enrollment” when they can switch the plan they are enrolled in. Swiss folks will recognize this as they have a similar system; our friends tell us they hate the mail and phone calls they get. We, happily, only get the mail. About half an hour before the end we left to go to a forum on China sponsored by the Cato Foundation. It was a half-mile walk for us, on a pleasant autumn day. After we were seated who should we see coming in? A woman we had seen at the Medstar forum. She was about 80 and at Medstar had said that she walked from the edge of DC to get to the forum; it had taken her 3 hours. She left well before the Medstar end (and well before us) and had perhaps taken 35-40 minutes to do the half-hour walk. 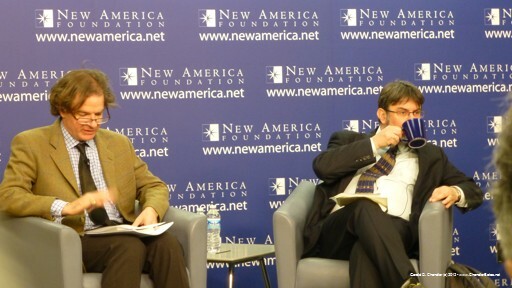 After Cato (free lunch included) we went to a New American Foundation talk. We hadn't planned to do that but at lunch a table-mate had told us about it and given us the address, as he was going. He didn't show up, because, we think, he had the wrong address. We know the address was wrong because it took us some effort to find the right address. And who should we see there? Miss 80-year old Medstar. We are usually careful to not overfill our days. After all, we are retired! But sometimes things just don't work out that way. 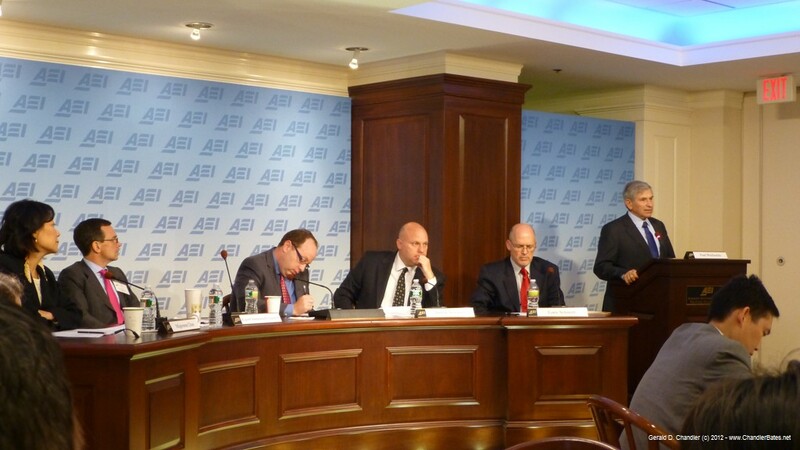 One recent Thursday, we left home early to catch a breakfast talk about the 2012 election polls at AEI, then walked over to Cato to attend a book forum and eat a free lunch. Jan then rushed back home to make her weekly Russian conversation class with our neighbor Maryna. No sooner had she got back to the apartment than Gerry showed up. 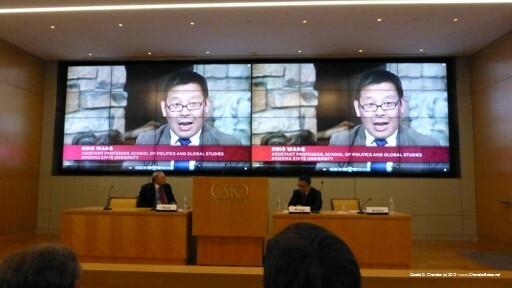 He had left Jan to go to a second seminar at AEI, on Taiwan's economic future. Once together we had to rush off again to Northern Virginia Community College (NVCC) for a talk given by one of the pundits from the Washington Post, Ezra Klein. We'd never been there before and had to discover how to take the bus six miles west; up until that time we'd only ridden it east, toward Old Town Alexandira and DC. We ended the day with a bus ride from NVCC to Duke Street and a short walk home. On June 28 we and our visitor, Donna, were walking from the Supreme Court where we saw the aftermath of the decision on Obamacare. We were going to the National Gallery of art along Pennsylvania avenue when Gerry saw and took a picture of two apparently homeless women. One of them, Ngo Thien, ran toward Gerry and grabbed his camera. There was a tussle and both fell to the ground. At that moment a policeman happened by in his car and saw a melee: Gerry and Ngo on the ground, as well as some stranger who though he was rescuing Ngo Thien from Gerry and had put him in a choke hold and Jan trying to rescue Gerry from the 200 pound stranger. The policeman immediately came over but all the action was over by then. Gerry had some minor bruises; an ambulance was called and he was offered a ride to a hospital for a more thorough checkup but passed it up. Gerry pressed charges and Ngo Thien was arrested and ended up in the DC court system. Since then we have gone to court about once a month to see what is happening. Most of those dates were “status hearings”, i.e. intended to decide what would happen next. Ngo felt herself to be in the right and refused an offer made to her: she would get a DPA (deferred prosecution agreement) whereby if she would do some community work (probably 32 hours) the whole case would be dropped. Before this was proposed to Ngo Gerry was asked by the prosecutor if he had any objections. Hearing none, the DPA was offered and refused. Thus Ngo opted go to a non-jury trial. It was supposed to be October 17 and we were both subpoenaed as witnesses. A week before the trial date Gerry got a phone call explaining that the case would be postponed because the government had not given all the evidence to the defense; in this instance it was a copy of the voice recordings of the investigating officers. Now the trial is set for December 12. It continues to interest us, particularly Gerry, and we enjoy going to court and seeing how things work. In addition to wanting to protect myself I feel sorry for her. 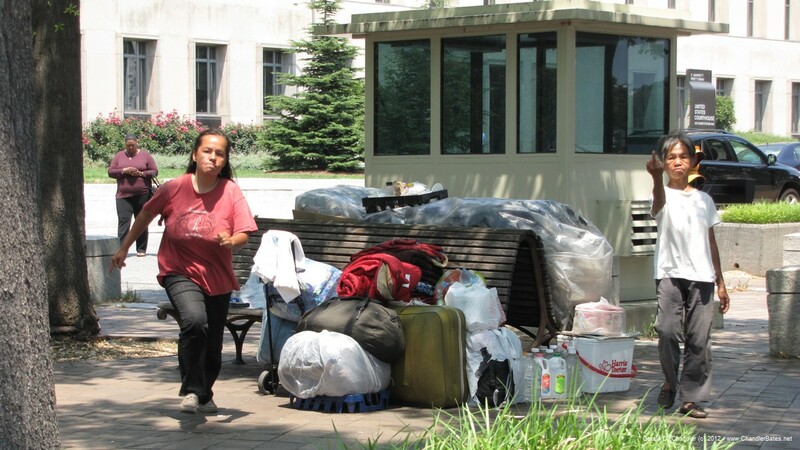 By ending up in the court system, I'm told, she will get more social services than she would as a simple homeless person. That pleases me because I'd like her to get her life together. We've never spoken to Ngo; in court she had a Vietnamese interpreter and we are not sure how much English she knows. From a distance it seems that it is enough to deal with the public defender appointed for her. From appearance she is half-Viet, half-Anglo. That suggests that she was the child of a GI who abandoned her and as such later she got the chance to come to the USA. Not wanting to wait for the ton of books that we have stored in Forked River, NJ we've been buying more and more. When we first arrived we discovered that our library, like most American libraries, has a sale of donated books twice a year. This week we've been to the second such sale and brought home another half dozen books. We've discovered that Amazon runs a used book shop. Some it sells directly itself but most are independent sellers who list on Amazons site and let it do the billing. Many books sell for 1 cent ($0.01) (but really cost $4 with shipping). 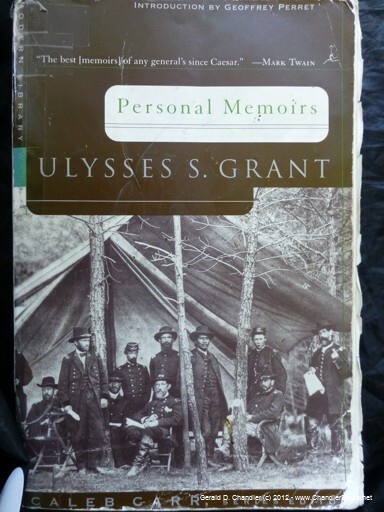 Now we sometimes take a book from the library and if we like it order it from Amazon so we can read it at true leisure. We toy with the idea of listing our mass of books on Amazon. Is the effort of shipping worth it? Probably not, so perhaps boxes and boxes will go to the Alexandria library as a contribution to one of its books sales. Just as we were preparing this web page several of those Amazon used books arrived. 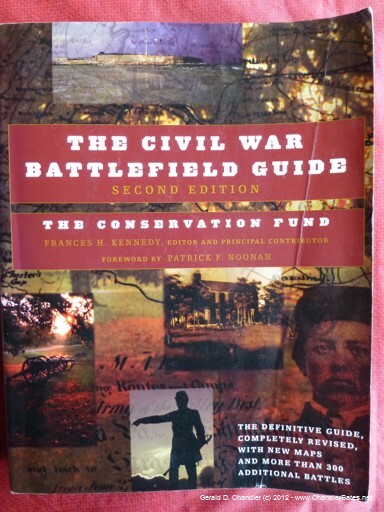 One of them is the Civil War Battlefield Guide. While the web is great, especially with search engines, we still like to have books with color maps to pour over. 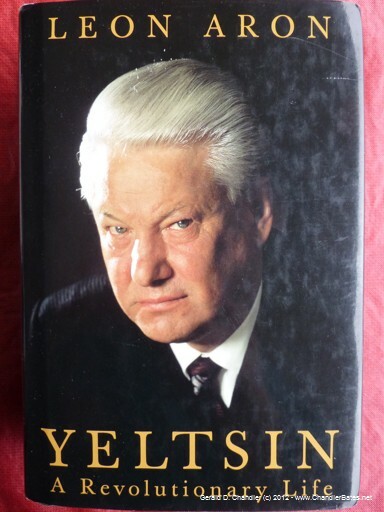 Jan is reading an excellent biography of former President of Russia, Borris Yeltsin called Yeltsin: A Revolutionary Life. It's written by a Russian emigre who works at AEI and that we heard give a talk about Russia's fourth revolution, as they call the events that toppled the Soviet Union. It's very well written, and the author really makes the people come to life. It is actually quite hard to put down for an 800-page book because it reads like a suspense novel, even though you know how it comes out in the end. It's quite the opposite of another book she has had by her bedside for several months and never managed to finish. That is the autobiography of Gromyko, the former Foreign Minister of the Soviet Union who was finally retired by Gorbachev after about 40 years of service. She thought she would learn a little bit about how the SU foreign ministry worked, but the book turns out to be just a series of propaganda vignettes of each country he ever had anything to do with. If the country in question agreed with Soviet policy they were forward-thinking and democratic in outlook, otherwise they were reactionary lapdogs of the capitalists. Jan also usually has some fiction on the go as well. Besides the library sale, she also gets books from our apartment building's swap shelf next to the mailboxes. Whenever she sees a book she fancies reading she'll pick it up and then replace it once read. Most of them are very unmemorable. Oof! For a while we are caught up on this website. With our built in tools we can tell you there are about 4400 words, so this is a 10-20 minute read for most people. In the age of Twitter and 254 character messages we expect to have a pretty small audience. If somebody else had paid us to translate that 4400 words we'd have a better stuffed wallet. If you read this far you should really win a prize. Click here. We'll see when the next edition comes out.